Whit Stillman's own personal Jane Austen. 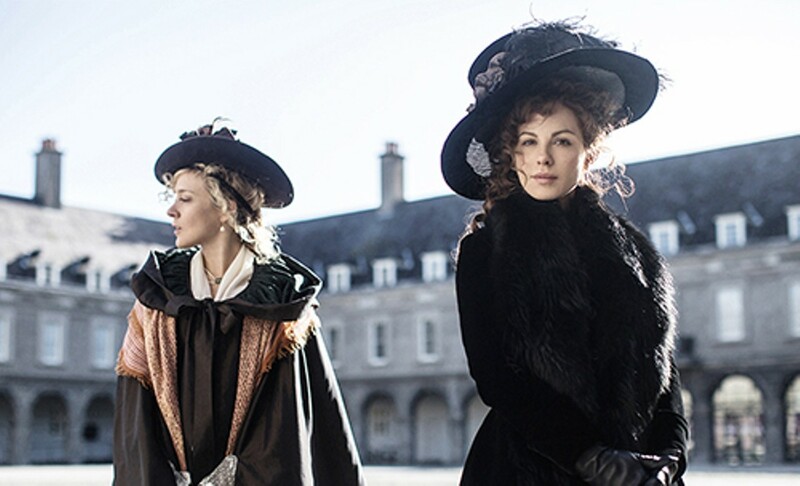 Chloe Sevigny and Kate Beckinsale in Love & Friendship. Directed by Whit Stillman. With Kate Beckinsale and Chloë Sevigny. Opens Friday. Remember Jane Austen? Whit Stillman does. In the 1990s, when Austen adaptations were swarming onto screens at an alarming rate, writer-director Stillman was busy recounting the foibles of upper-middle-class, prep-schooled, contemporary American youth in such light dramas as Metropolitan and Barcelona. He grew a cult following. Eventually, heat-seeking filmmakers tired of the early-19th-century novelist's formulaic dramas of love and matrimony, and the Austen mania cooled down somewhat. But Stillman, with his finely honed observations of genteel social interaction, always seemed ideally suited to bring an Austen to the screen with its sense of humor intact. Comedies of manners are Stillman's specialty, and the more supercilious the protagonists, the better. By the time Stillman got around to his own personal Austen most of the choice titles had already been picked over. His new release Love & Friendship adapts the novella Lady Susan (1794; published in 1871) using the title of Austen's epistolary short story "Love and Friendship." 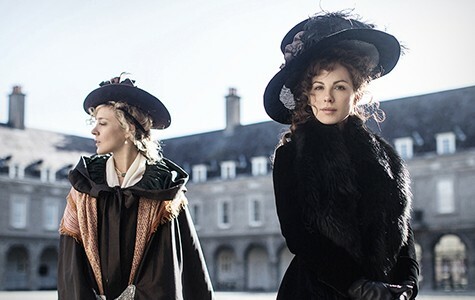 If ever an Austen scenario were to dovetail perfectly with Whitman's gimlet-eyed world view, it's the story of Lady Susan Vernon (played by Kate Beckinsale) and the swath she cuts through several households on the hunt for the right husband. A costumed festival of gossip and soap opera intrigue glazed with keen social commentary, Stillman's late-arriving Love & Friendship puts a 21st century exclamation point on this particular movie-biz craze. With any luck, it will be the last of the Austens. The recently widowed Lady Susan is spending a season in the household of her late husband's family, the Vernons, partly to ponder her next move and partly to escape rumors of her peccadilloes. Her reputation as a callous manipulator precedes her. The chief items on her shopping list are husbands for herself and her daughter Frederica (Morfydd Clark). As surely as the earth orbits the sun, would-be suitors begin to revolve around her, obliviously. Neighboring squire Reginald DeCourcy (Xavier Samuel) is a twit, but a rich, landed twit. Another local prospect, Sir James Martin (Tom Bennett), is even more of a booby, but the chatterbox Lady S wants his money, and so promotes her daughter to marry him, despite his notoriety as "a bit of a rattle." Looking on with loathing at the Lady's maneuvering is Catherine DeCourcy Vernon (Emma Greenwell), who's Reginald's sister and Lady Susan's sister-in-law. The Lady's only true ally and confidante is a visiting American, Alicia Johnson (Chloë Sevigny), who pops up every now and then to cackle conspiratorially. Beckinsale and Sevigny, of course, are members of the Stillman stock company. We could look at their roles in Stillman's The Last Days of Disco and their gleeful scheming in Love & Friendship as companion pieces in a grand panorama of manipulative antics through the ages. As in the earlier movie, the Beckinsale character's most transparently self-serving absurdities are taken for granted by just about everyone. The more outrageous her machinations ("Facts are horrid things," she complains at one point), the more readily her victims succumb. Beckinsale, Sevigny, and Greenwell are given generous amounts of space for their jousts. Their two-hundred-year-old gold diggers are every bit as silly as modern consumers, but with more extravagant outfits. Thus Stillman has his cake and eats it too, laying on the foolishness thickly under cover of the romantic impulse. Love & Friendship is one of Mr. Metropolitan's best.